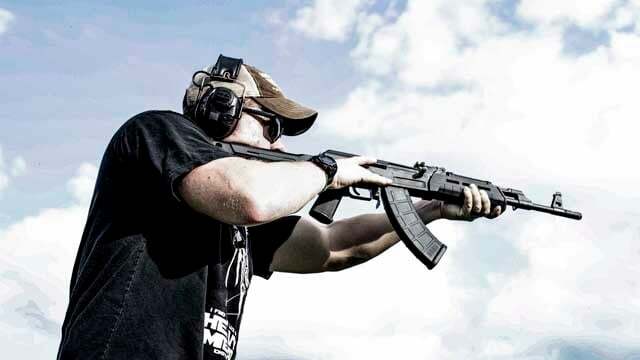 The AK-47 pattern rifle is the most prolific shoulder-fired weapon in history, with variants coming from all over the world. Despite its relatively recent popularity in the United States, there was no major production of an American-made model. That is until Florida-based Century Arms introduced the Centurion sporter rifle in 2014. However, the rifle was met with mixed reviews at best and suffered from reliability issues, so Century had to go back to the drawing board. While I can’t say the new C39V2 is free from flaws, it’s still a great option. Century offers six different variants of the Centurion 39 V2 models. Price starts at $800 and goes up to $1,085 as features are added. With the baseline model, the key takeaway, besides being made in the U.S.A., is that they’re milled instead of stamped for a stronger, all-steel construction. 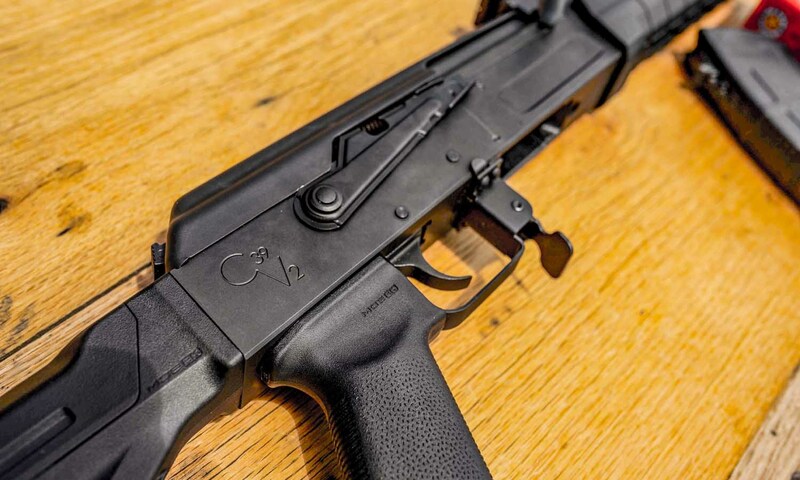 The C39V2 features a 16.5-inch barrel with a 1-in-10-inch twist and a threaded muzzle; a return to zero side optics mount; and standard AKM-style iron sights. 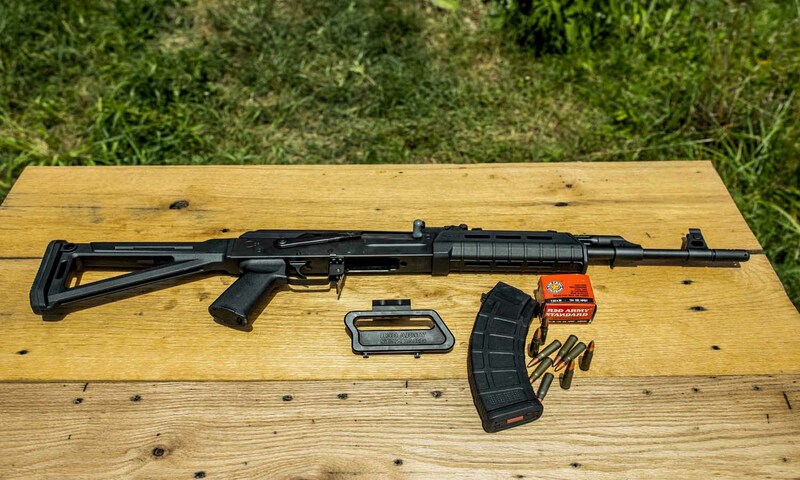 Controls include an RAK-1 Enhanced Trigger group, which has a 3.5-pound single-stage break; a bolt-hold open notch on the safety selector; a larger T-shaped magazine catch; and it accepts all standard AK magazines. For my testing, I put about 500 rounds through the rifle. With standard 123 grain FMJ rounds, the C39V2 holds around a 2-inch group at 100 yards. Of course, accuracy could be improved with match or hunting loads. While all this sounds pretty great, what could be the downside? It depends on how much you shoot. Other reviewers have reported issues around the 3,000-, 5,000- and 8,000-round mark. In the worst case scenario – the 8,000-round test – the reviewer experienced a cracked slide, which could be a potentially dangerous issue. But bear in mind that these tests were conducted in a relatively short amount of time – hours, days or weeks – and realistically most shooters will go through that sort of round-count over years. The C39V2 has a lot of great features, preforms well, and comes to market at a competitive price. In all likelihood, you will be very happy with a C39V2 and it will preform like the legendary AKM it was modeled after, but if you do have any problems at all with the rifle, Century will be more than happy to make them right. I plan to keep running the rifle hard, and seeing how it holds up, it is a joy to shoot and I am very happy to have been able to add it to my collection.